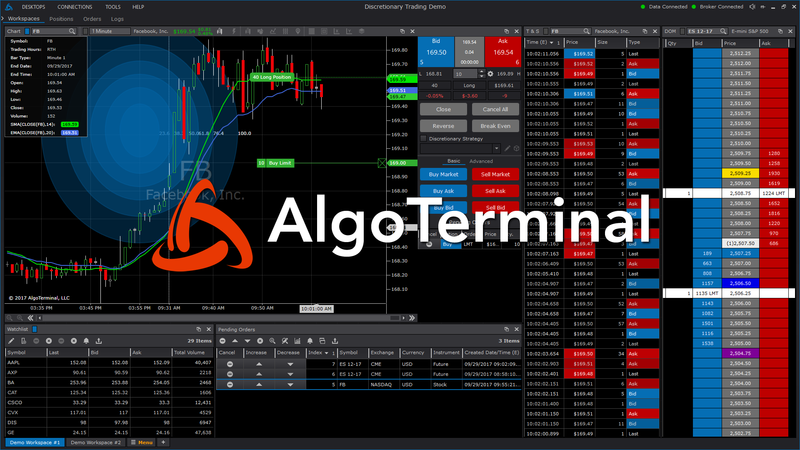 Releases best-in-class, highly-customizable algorithmic trading platform, API and source code. 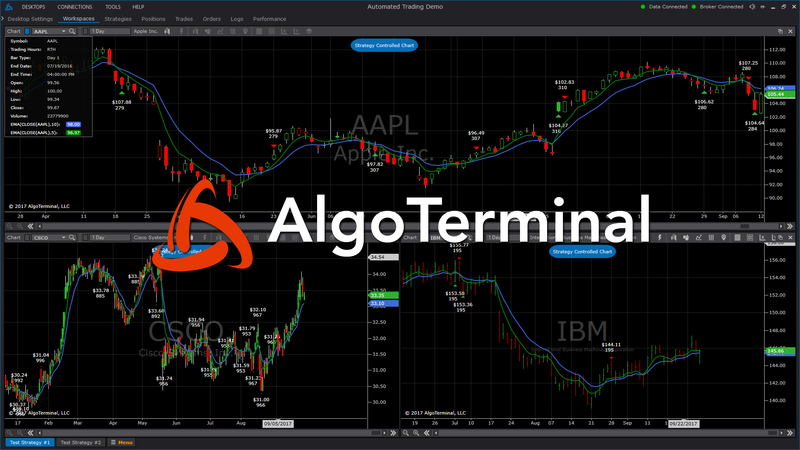 NEW YORK, Oct. 2, 2017 /PRNewswire/ -- AlgoTerminal LLC announced the release of AlgoTerminal, its powerful algorithmic trading platform for hedge funds, trading firms and professional quants. 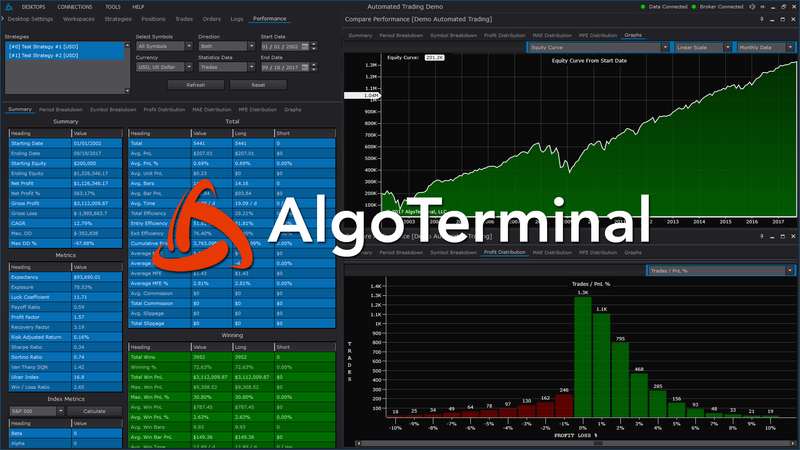 "After more than a decade of R&D and an exhaustive beta period, we're excited to introduce AlgoTerminal's new trading platform to the global financial community," says Daniel Tochner, the founder of AlgoTerminal LLC. "The platform offers a complete high-end solution for quantitative traders, including strategy development, backtesting, optimization and live trading." Strategy Development: An architecture that features 18 different types of scripts that control every aspect of algorithmic trading, all of which can be written in C#, VB.NET, F# and R.NET. API: A robust yet easy to use API that offers 600+ functions that are categorized into neatly organized libraries. Backtesting: A blazing fast backtesting engine that can backtest an entire portfolio of sophisticated multi-asset trading strategies in a single integrated environment. Optimization: A multi-core optimization engine that can optimize or walk-forward optimize a portfolio of strategies using Genetics, Monte-Carlo or Brute-Force algorithms. Risk Management: An automated risk management module that can be used to monitor multiple trading strategies and manage portfolio level risk. Live Trading: A broker-neutral high-frequency trading solution that can trade thousands of strategies and symbols at the same time. Connectivity SDK: A Software Development Kit (SDK) that trading firms can use to integrate with proprietary systems, preferred data or brokerage providers. Discretionary Trading: A polished, feature-rich platform for discretionary trading, including cutting edge charts, flexible workspaces, DOM, T&S and more. Charting and Visualization: A rich charting package that offers an extensive selection of bar types, chart styles and customizations, all of which can be accessed from the API. Indicators and Scripts: A large selection of nearly 200 pre-built indicator scripts, as well as hundreds of other scripts such as patterns, signals, and drawing tools. Modern User Interface: A modern desktop UI that is both skinnable and highly configurable. The platform is available both as a service and as a source code solution for large enterprise customers. The source code solution is designed for large hedge funds and buy-side trading firms that require full control over their execution technology and would like to customize it to their needs. 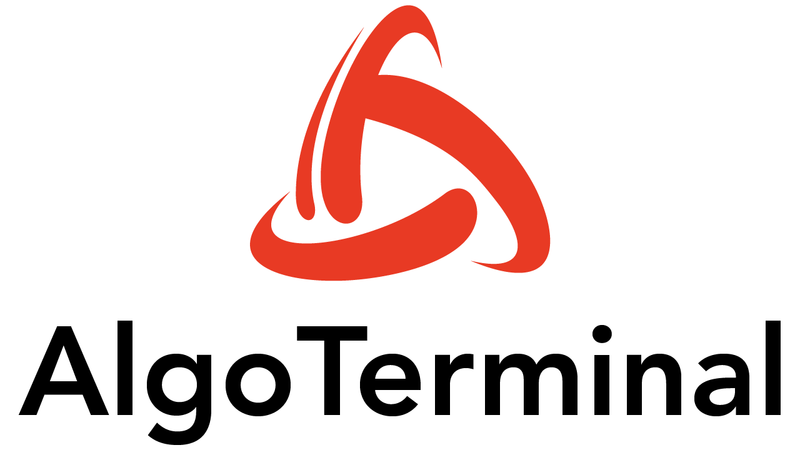 Established in 2010, after years of R&D, AlgoTerminal LLC is a leading provider of high-performance trading solutions for professional traders.